OAKLAND, California — Stanley P. Cox got kicked out of Brian Shaw’s local basketball camp one summer because he wanted to write bars and hooks and rap more than ‘ball. It turned out to be the right decision. As the East Bay hip-hop impresario Mistah F.A.B., a legendary freestyle battler, Cox has collaborated with Snoop Dogg and Too $hort, among others. Beyond his rap life, he owns the souvenir and apparel store Dope Era at 4506 Market St. in North Oakland, where he knows everyone and everyone knows him. A cousin of NFL running back Marshawn Lynch, Cox is The Town to the core. Cox, 35, has also been able to afford choice floor seats as a Golden State Warriors season-ticket holder since 2006. He is among their best-known fans. Al Attles is a Warrior to the core. Drafted by the club in 1960 while they were still the Philadelphia Warriors, Attles scored 17 points the night his teammate Wilt Chamberlain scored 100. He played for 11 years and became the second African-American coach to win an NBA title when he guided the Rick Barry-led Warriors past the Washington Bullets in 1975. He is 80 years old, has never worked for anyone else and remains an ambassador 57 years after the franchise drafted him. The coach and Mistah F.A.B. have something in common: Neither has witnessed the Warriors win an NBA championship on their home floor. Golden State’s most recent championship, in 2015, was won in Game 6 in Cleveland. There are two reasons that Stephen Curry, Kevin Durant and the Warriors must close out the Cleveland Cavaliers on Monday night in a series they once again lead, 3-1, heading into Game 5 at home. First, of course, you don’t want to give Cavalier LeBron James extra chances. Those who do historically have paid. The Boston Celtics had a chance to close out the Miami Heat in 2012 at home in the Eastern Conference finals before James had ever won a title. But James lit up the TD Garden like he never had in any postseason game, and the Heat eventually won at home in Game 7. Same goes for 2013, when Kawhi Leonard left the door open by missing two free throws in Game 6 of the Finals in Miami, a game the San Antonio Spurs did everything but win before Ray Allen’s baseline 3-pointer for the ages sent that one to overtime, and James took control thereafter. And, yes, these very same Warriors a year ago, who melted down in Games 5, 6 and 7 after being up 3-1. Point guard Stephen Curry and coach Steve Kerr of the Golden State Warriors talk during Game 4 of the 2017 NBA Finals against the Cleveland Cavaliers at Quicken Loans Arena in Cleveland on June 9. Opening that door, even thinking about going back to Cleveland for Game 6, brings up painful memories. The second reason they need to close out is less psychological and more sentimental: Golden State has never won a championship on its home floor in franchise history, dating to 1962 when the team moved west. 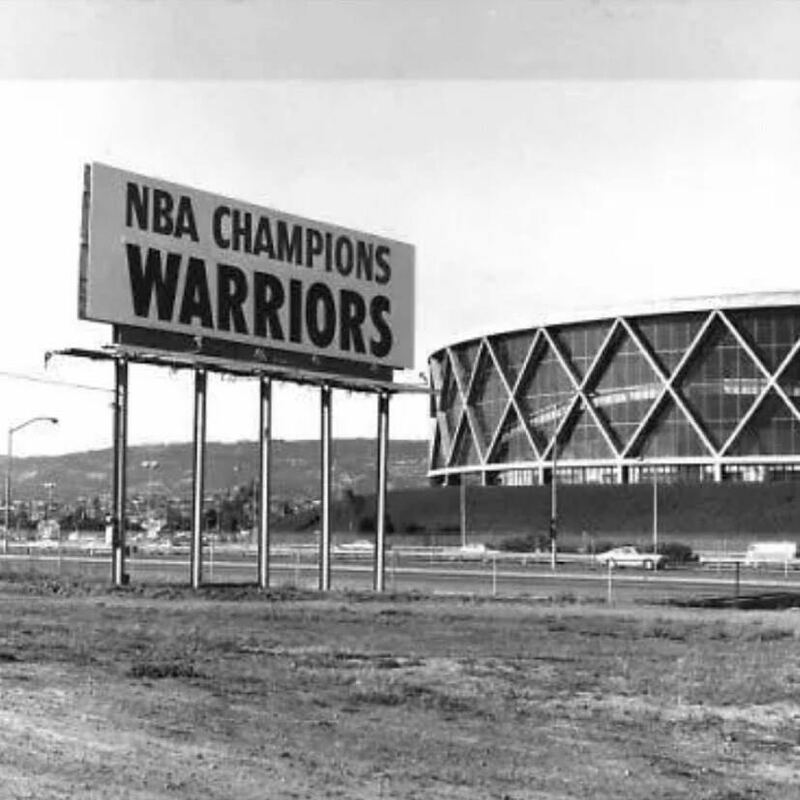 Even the year the Warriors swept the Bullets in 1975, they had to close it out at the Capital Centre in Landover, Maryland, because the Oakland Alameda County Coliseum (now the Oracle) could not be used for Warrior home games during the Finals that year. The Coliseum had booked the Ice Follies, deeming it more important than the Warriors hosting the Finals. The Cow Palace in San Francisco, where the Warriors’ home games were played in the Finals, couldn’t host a Game 4 because the building’s owners were unwilling to move a karate tournament. This led to the first and only 1-2-2-1-1 Finals format in history. Games 2 and 3 were played at the Cow Palace, and the Warriors finished the sweep in Washington. This is the franchise’s best chance to win at home since, well, last year. Given that the team is scheduled to play in San Francisco by 2019 in The Chase Center, now undergoing live-cam construction, it would make it that much sweeter for all the loyalists over the years who call the East Bay home and still believe the Warriors belong to them more than they do any other part of the Bay Area. Marcus Thompson II, an Oakland resident and sports columnist for the San Jose Mercury News, interpreted the franchise’s feelings about Oakland best when he wrote about refusing to attend the new facility’s groundbreaking back in January. After James and Kyrie Irving woke their teammates from their Finals slumber in Game 4, a rugby scrum of an affair that was officiated poorly and involved all the jawing and physical play that essentially siphoned real drama out of a one-sided series, it’s clear the Warriors won’t have it easy. Indeed, although Golden State still has a two-game cushion and Game 7, if necessary, on the Warriors’ home court again, too many similarities from last year would start to bubble up if the Cavs somehow found a way to win Game 5. “It’s a long flight,” Thompson said. “You want to reward your home fans, and you obviously don’t want to extend the series any longer than it has to be when you’re in this position. So you’ve just got to take it [Monday], and it’s on us. Can’t make any excuses. But that’s definitely motivation. You don’t want to have to fly across the country again.